Hewn Bakery, 810 Dempster Street. The Evanston bakery was recently featured on the Illinois tourism YouTube channel. 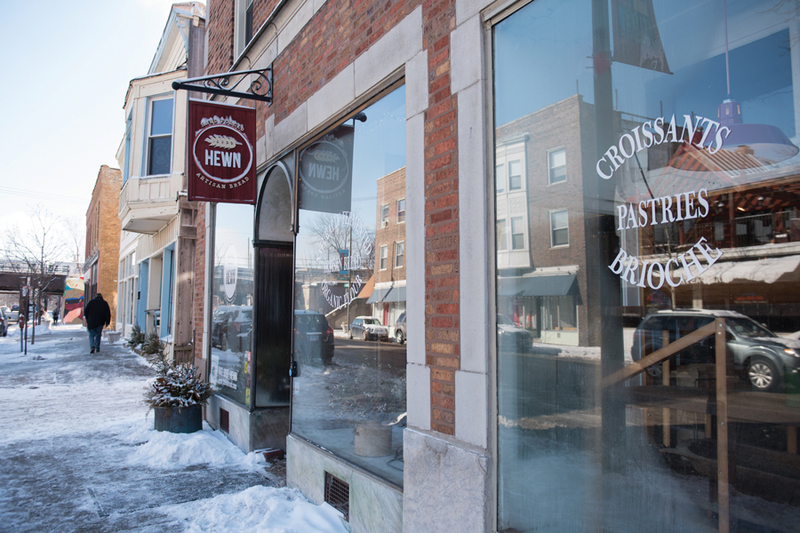 Hewn Bakery may become the bread and butter of Illinois tourism ads after the local bakery was featured on the Enjoy Illinois tourism YouTube channel as an Illinois Made business video according to a post from Evanston’s Twitter account. The tourism site also wrote a profile of Hewn, tracing the history of the bakery’s name and the qualities that make the bakery unique. Ellen King, the bakery’s co-owner and head baker, said the word “hewn” comes from structural beams made by master craftsmen in past centuries, according to the profile. King said the foundation for the bakery started in her kitchen in between her son’s naps, as she would mix the bread, shape the loaves and deliver the bread across the community. As Illinois is known for farming, she said, it is important for her to support local farmers who grow various products including wheat. King added that the atmosphere of the bakery, not just the product, is important.